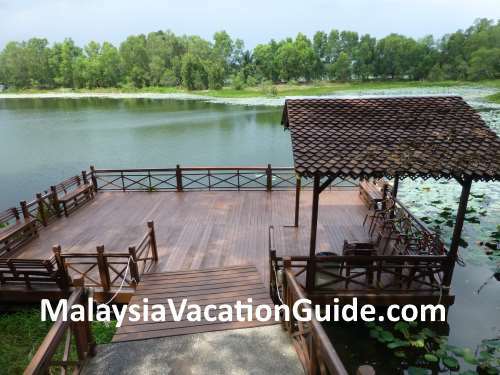 Paya Indah Wetlands is located in Dengkil which is about 20 minutes drive away from Putrajaya. 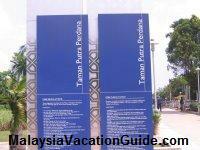 Do not confuse this place with Putrajaya Wetland which is located near the Tropical Botanical Garden of Putrajaya. Many visitors mistakenly ended up at Putrajaya Wetland which is basically a park with a lake where you can do kayaking and canoeing here. This wetlands was formerly a mining land and the government had spent millions into rehabilitating this area. 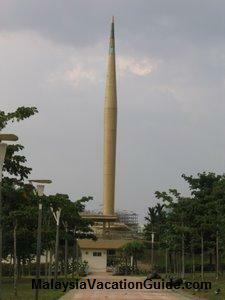 The total area is 3,100 hectares which consists of lakes, marshes and lowland tropical forest. If you like nature, this is the place where the flora and fauna thrive. Here are some figures of them. 210 species of birds. 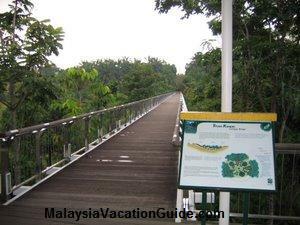 You should be able to spot the colourful birds as you walk along the nature trails. 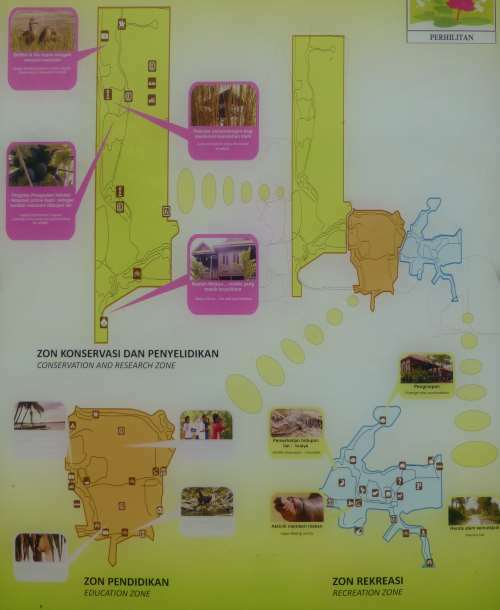 The wetlands is divided into three zones. Walk-in visitors are only allow to enter the Recreation Zone. You will need to book 1-3 weeks in advance to go into the other two zones which also require a guide to enter. 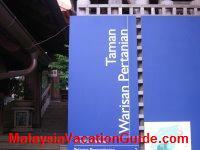 A guide fee will be charge which comes to about RM120 for 4 hours and limited to 12 visitors per group. One of the lakes near the entrance to the wetlands. The recreation zone is accessible by foot or car. If you are not in a rush, taking a walk and enjoy the flora and fauna is a good idea. Better still, you can rent a bicycle if it is available. Here are some activities you can do while on this zone. Bird watching Get your own binocular and camera to get the most of your time here. Bicycling Bicycles can be rented for RM5/unit for a duration of 2 hours. However, if you are serious in renting a bicycle, make a call to the office to ensure its availability. Photography Bring your best camera and you will not be disappointed as there are many natural landscape shots that you can take. Jungle Trails Walk along the trails on this zone. Hippopotamus This is the highlight of the day. 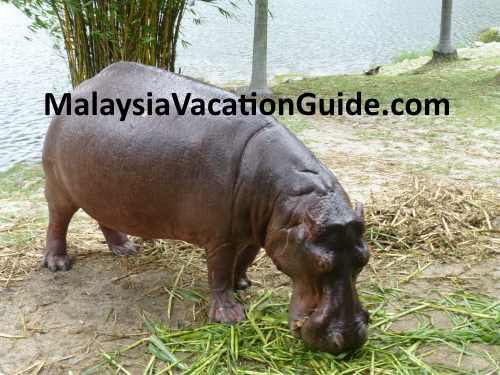 The hippos are semi-aquatic animal which lives near the rivers or lakes. They spend most of their time in the water and mud during the day time and come up to graze the grass during dusk. They originated from Sub-Saharan Africa and are protected animals which can run up to a speed of 48km per hour. Come close to the hippos during the feeding time from 10am to 10:30am daily at the Hippo Lake. Crocodiles The crocodiles here are known as "Buaya Tembaga" in Malay language. 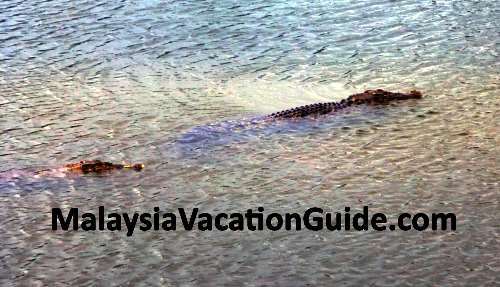 They are located at the Crocodile Lake which is a walk further up from the Hippo Lake. Go during the feeding time from 11am-11:30am daily. Fishing If you are into fishing, you can fish at Typha Lake. 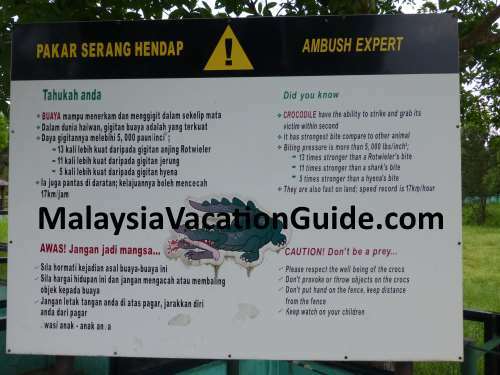 You will need to pay RM10 per rod for a fishing duration of 2 hours. Fishing time is from 8am to 6:30pm daily except Friday. No fishing is allowed on Friday. Take note that live fish as bait is also not allowed. Feeding Fish is another activity that your children will enjoy. Purchase fish pallet at RM2 each to feed the fish at Ecology Lake. Observation Tower provides a good view of the wetlands. Sometimes you may not be able to use it as it may be under maintenance. Kayaks and Paddle Boats are available on Saturdays, Sundays and public holidays at Teratai Lake. The price is RM7/unit for a duration of 30 minutes. 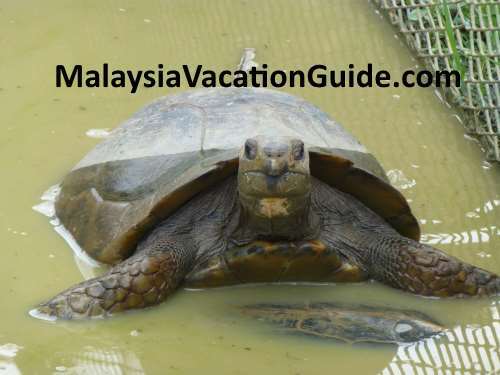 Porcupines and Tortoises can be seen at "Laman Fauna" which is further up from the Crocodile Lake. 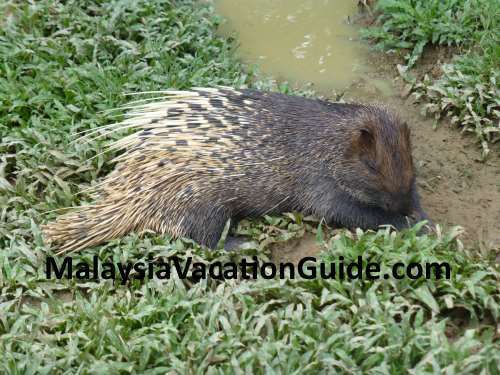 Do not be afraid as the porcupines are not able to shoot their quills. Porcupine taking an afternoon nap! These two zones are only available if you do at least 1-3 weeks of advance booking. 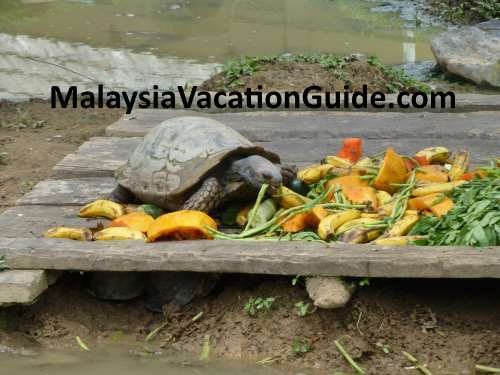 A guide is a must for a maximum of 12 persons. Night safari, bio-diversity education for students and a day at Paya Indah Wetlands programmes are available. Further information will be provided by contacting the centre using the contacts below. If you like to, you can even choose to stay here at the chalets and hostels. 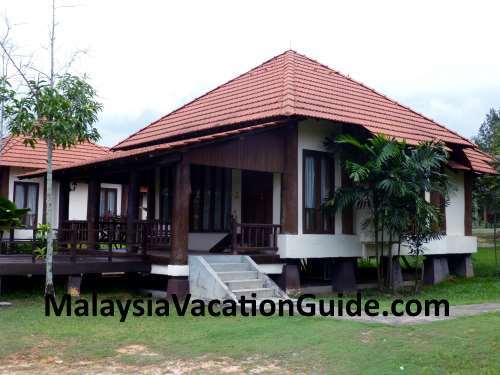 Each chalet can accommodate 2 persons and costs RM120/night. 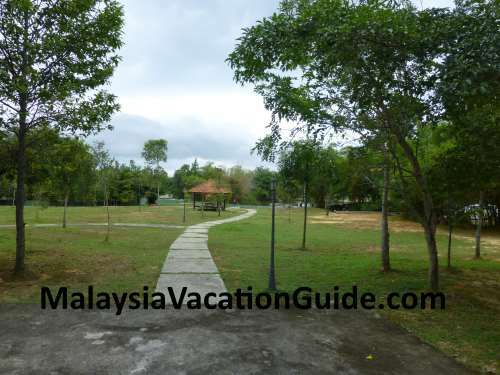 There are 34 fully air-conditioned chalets that you can book if you come in groups. 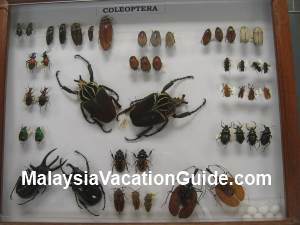 The air conditioned hostels can accommodate 16 males and 16 females for a price of RM9 per person for one night. You can also camp at the compound for RM9/camp for a day. A meeting room that can accommodate 150 persons is also available for booking. If you are looking for a site for family day, the site can take 500 persons for the function. Admission is FREE but you will need to register at the main entrance of the wetlands. Parking is also available. 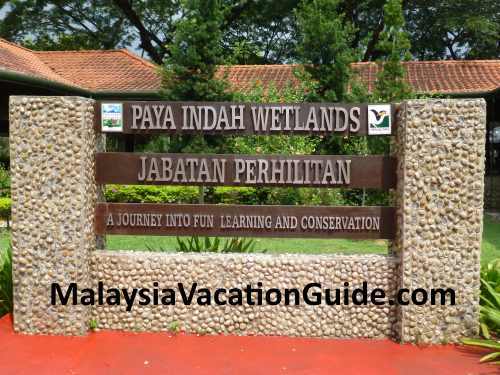 Paya Indah Wetlands, Jabatan Perhilitan Km4, Jalan Dengkil-Banting, 43800 Dengkil, Selangor. 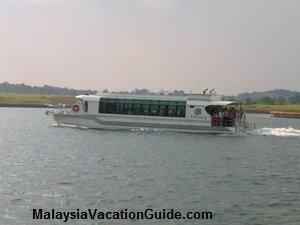 The best way to come here is by using your own vehicle or take a taxi from Dengkil town. 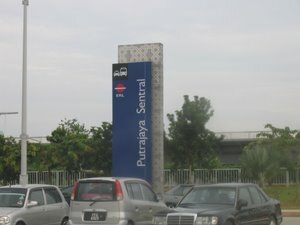 Head for Dengkil town and you will reach a traffic light before the mosque. There is a signage that directs you to turn right at the traffic light. Go along the road for another 2-3km and turn right as directed by another signage. Go straight and you will reach the wetlands. 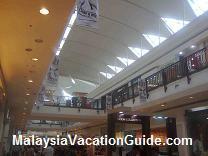 If you want to have your meals, there are many restaurants at Dengkil town. For Chinese food at Dengkil, you may want to consider Yew Hin Restaurant.